When I first started android development there were no real devices. All you could use was that awfully slow emulator. 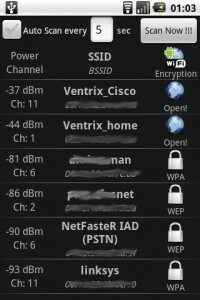 When I got my first device, the HTC Dream, I realized the native WiFi scan functionality was limited. 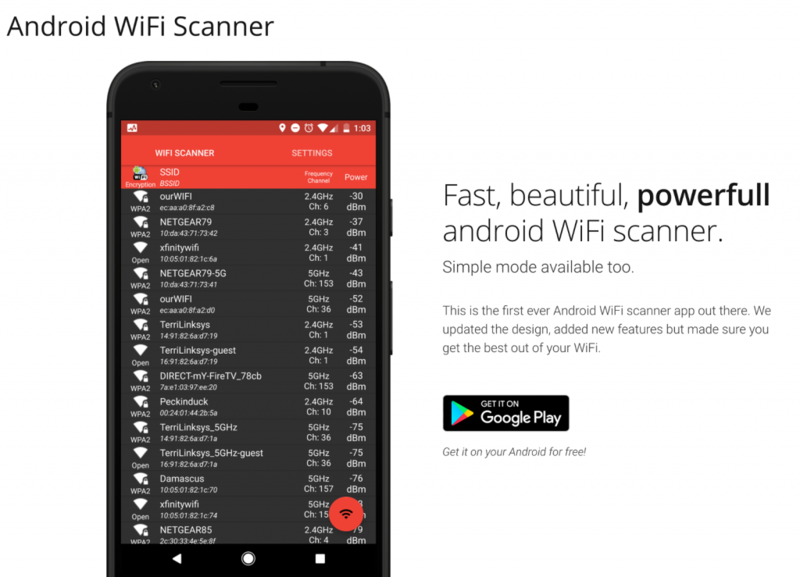 I also realized there were no WiFi scanner apps on the store, so I made the first WiFi scanner app for Android! Years passed since then and I finally found some time to update that old, 2010 looking app (check the photo to judge for yourself) to a modern one with material design. One day we will be hacking our cars so we can drive them “like the old days”. Recent advances by IBM’s Watson and Google’s Go have proven that data > algorithms. Or more accurately, data is the algorithm. 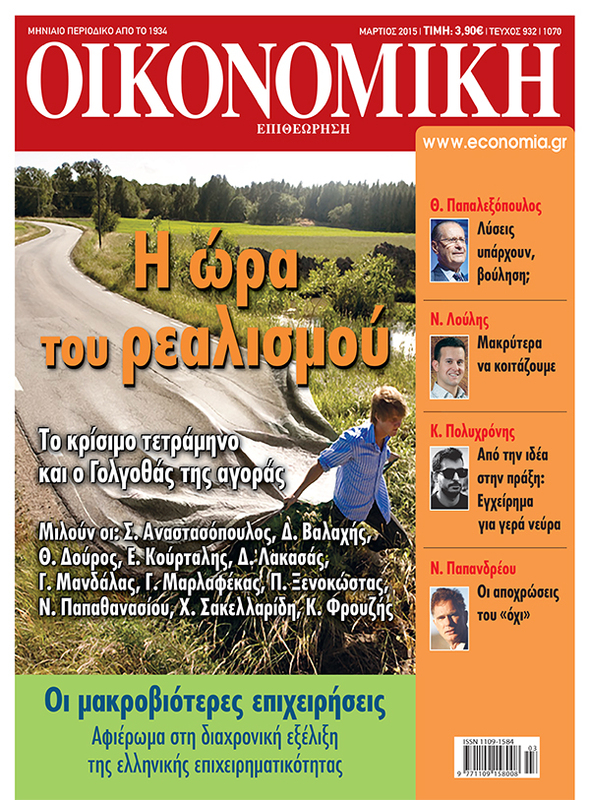 On March 2015 the greek version of “The Economist”, Economia.gr published an interview with me. 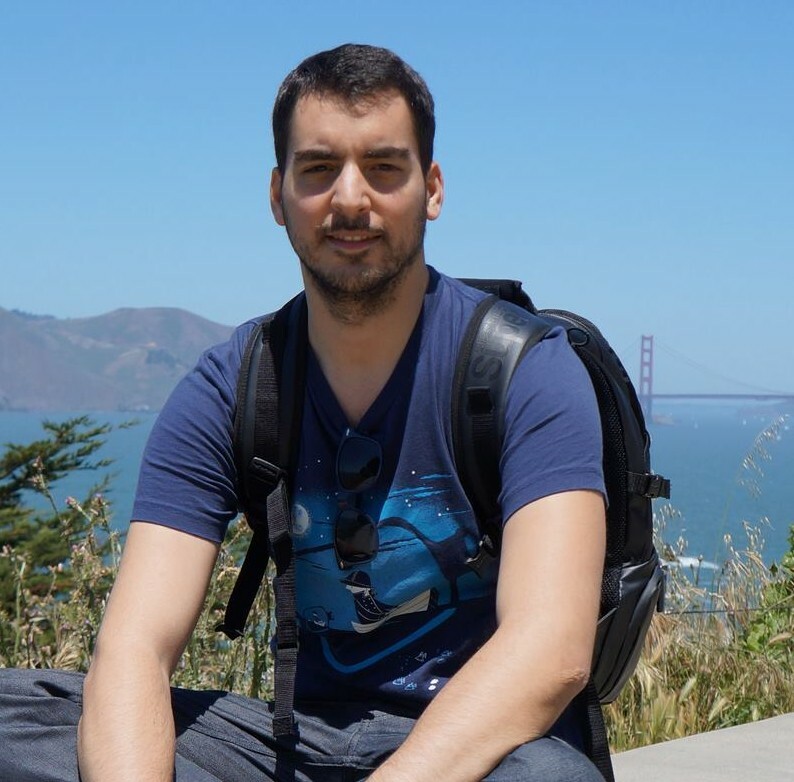 The main topic was the acquisition of BugSense from Splunk, the history and the transition from Greece to the United States. 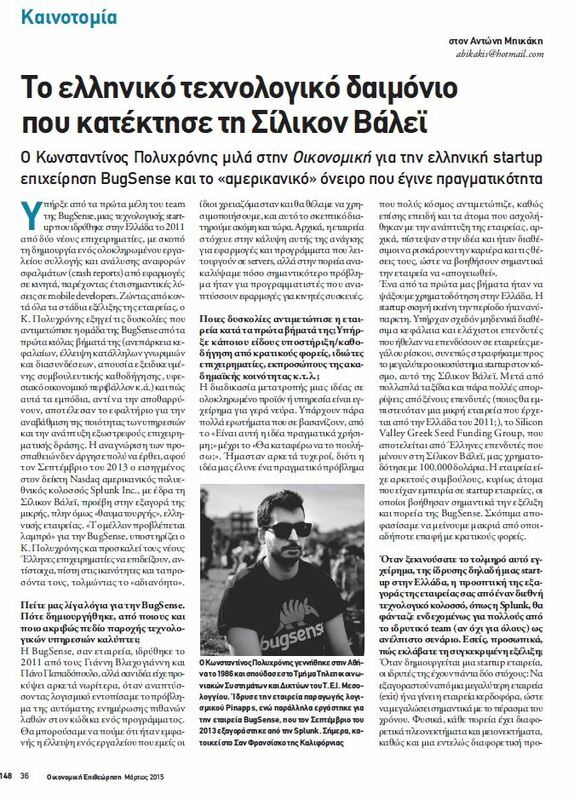 Unfortunately the interview is in Greek so only my greek friends can enjoy.